It takes at least seven years to complete the training required to be an IMTA teacher. It includes a minimum of 22 weeks attending IMTA courses as well as methodology/didactics training. Once the applicant has attained an IFOMT-recognised OMT qualification and successfully completed the teacher training course, he/she is eligible to go forward to the final exams. The final exams include written work, patient treatment, a presentation and comprehensive technical examinations. All assistants and all IMTA teachers undertake to carry out at least 600 hours of clinical work each year using the Maitland® Concept. This is in addition to their normal teaching activities. Our quality management system also guarantees that our teachers undergo constant further training, thus ensuring that our tuition remains of the highest quality. The IMTA works with a number of European specialist colleges and universities in the design and implementation of Masters-degree-level courses. Di graduated with a Bachelor of Physiotherapy in 1975. In 1978 and 1979 she undertook a research degree at the University of Queensland, Australia absolved ... with first class honours. In 1980 she completed a postgraduate Diploma in advanced Manipulative Physiotherapy at Adelaide University under the direction of Geoff Maitland MBE followed in 1980. Between 1975 and 1981 Di worked in various hospitals in England and Australia before moving to Switzerland in 1981. She was clinical tutor at the University of Queensland from 1978 to 1979 and research assistant at the University of Queensland in 1981. After moving to Switzerland she worked in a number of rehabilitation hospitals and physiotherapy practices and completed the examination to become a teacher with the International Maitland Teachers Association (IMTA) in 1988. She has also taught with the Kinetic Control Company (1998 – 2001) and has developed her own concept: „Muscle balance –fine tuning muscle“. In 2008 she was accredited the SEVB1 Certificate of teaching. Di currently works in private practice in Switzerland. She is Senior Teacher with the IMTA and since 2002 teaches Muscle Balance courses internationally. René completed his physiotherapy training at the Academy for Physiotherapy (Vienna General Hospital, Austria) in1993. From 1993 to 2002 he gained professional ... experience in a hospital with focus on neurology, orthopedics and traumatology. Since 2002 he manages a multidisciplinary practice with 2 other colleagues with an emphasis on manual therapy and sports physiotherapy in Neunkirchen, Austria. In 2006 he attained his OMT qualification with the Österreichischen Verein für Manuelle Physiotherapeuten (Maitland-Konzept) e.V (ÖVMPT) in Austria. Rene qualified as a teacher with the International Maitland Teachers Association (IMTA) in 2012. He principally teaches in Germany, Austria, Slovenia and Croatia. Sandra absolvierte 2004 ihre Ausbildung zur Physiotherapeutin in Graz / Österreich. Von 2004 bis 2010 arbeitete sie in Graz und Umgebung in einem privaten ... physikalischen Institut sowie als selbständig tätige Therapeutin in einer Praxisgemeinschaft und sammelte Erfahrung im ambulanten und vorwiegend orthopädischen Bereich. 2010 zog sie nach Bad Freienwalde / Deutschland und arbeitet dort seither in einer Praxis als freie Mitarbeiterin und fokussiert sich dabei vorwiegend auf muskuloskelettale Probleme. 2011 schloss sie die OMT-Ausbildung und das MSc. (musculoskeletal physiotherapy) Studium an der Donau Universität Krems ab. Sandra qualiﬁzierte sich im September 2017 als Lehrerin in der International Maitland Teachers Association (IMTA) und unterrichtet in Deutschland, Polen und Litauen. Maria completed her physiotherapy training in Graz, Austria in 1994. After gaining 6 years professional experience in a public general hospital she moved ... to self employment in 2 physiotherapy practices in 2000. In 2004 she attained her OMT qualification with the „Osterrieichsche Verband für Manuelle Therapie“ (ÖVMPT) in Vienna. Maria qualified as a teacher with the International Maitland Teachers Association (IMTA) in 2007. Currently Maria continues to practise clinically at a private practice in Pinkafeld, Austria and to teach postgraduate manipulative therapy. Gerti completed her Physiotherapy Diploma in Klagenfurt, Austria in 1983. After working in Austria for a short time she moved to Switzerland where she ... has since worked at in various rehabilitation centres and hospitals, including ten years at the at the Rehabilitation Centre in Valens. 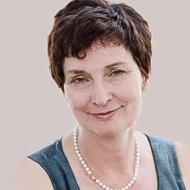 In 1992 she completed a Graduate Diploma in Manipulative Therapy at the University of South Australia in Adelaide, Australia and went on to graduate with a Masters of Applied Science in Physiotherapy in 1993. Gerti qualified as a teacher with the International Maitland Teachers Association (IMTA) in 1993. She is also a member of the Neuro Orthopaedic Institute (NOI). 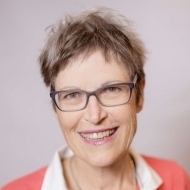 Currently Gerti works in private practice in Heiligkreuz, Switzerland and continues to teach postgraduate manipulative therapy in a number of European countries. Since 2009 she is a Senior Teacher of IMTA. 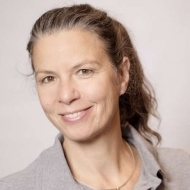 Gertis special interests include the management of orthopaedic patients, neuropathic pain and chronic pain, the integration of manual therapy into the treatment of neurological patients and the neurophysiology of learning. Ladislao completed his physiotherapy training in Madrid (Spain) in 2001. He is a very passionate physio, and he has done lots of courses related to manual ... therapy, sports physiotherapy and dry needling. In 2006, he was a participant in the first level 1 of the Maitland Concept in Spain, and it changed his life. After finishing all the levels, he decided to start the “Maitland Teachers Training”. During that training, he gained a Master in “Study and Treatment of Pain” at Universidad Rey Juan Carlos (Madrid. Spain). Ladis qualified as a teacher with the International Maitland Teachers Association (IMTA) in 2016 being the first Spanish physio obtaining that title. Moreover, he is presently teaching dry needling courses. From 2001 to 2007 he gained professional experience in a private practice and two Spanish soccer teams. In 2007, he decided to open his own practice in Leganés (Spain) and since then, he has been treating neuromusculoskeletal disorders. He has special interest in clinical reasoning (currently doing a PhD in this topic), sport injuries, chronic pain, dry needling and everything related to manual therapy. 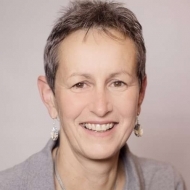 Trisha became a Chartered and State Registered Physiotherapist in 1980 at the Oswestry and North Staffordshire School of Physiotherapy in the UK. After ... gaining 5 years professional experience in various hospitals in the UK she moved to Germany where she has worked at the University Hospital in Munich since 1987. She has held a number of positions there and developed her special interest in manual therapy while working in the outpatients department. In 1996 she attained her OMT qualification with the Deutscher Verband für Manuelle Therapie (Maitland® Konzept) e.V (DVMT) in Germany. Trisha qualified as a teacher with the International Maitland Teachers Association (IMTA) in 1999 and gained a Master of Science in Medical Education at Cardiff University in Wales UK in 2011. She is a member of the DVMT educational committee and active as a national monitor for the DFAMT recognised OMT programmes. Currently Trisha continues to practice clinically at the University Hospital in Munich and to teach postgraduate manipulative therapy. She is co-editor of the German language professional journal “manuelletherapie. Her areas of special interest include outcomes measurement, education and integrating evidence into everyday practice. Renée ha terminato i suoi studi “bachelor in fisioterapia” nel 1985 a Rotterdam. Paesi Bassi. Dopo poco tempo si è trasferita in Svizzera dove ha ... lavorato in vari studi privati e cliniche. Nel1994 Renée ha terminato i suoi studi postgraduati in terapia manuale alla Curtin university in Perth, Australia. Nel 2001 si è qualificata docente dell’International Maitland Teachers Association (IMTA). Dal 1991 al 1994 e dal 1997 fino a 2002 ha insegnato alla formazione di fisioterapia a Lucerna, Svizzera. Lei e stata membro del committato esecutivo dell’associazione Svizzera di terapia manuale “Schweizerische Verband Orthopädischer Manipulativer Physiotherapie (SVOMP) anche nella mansione di Presidente. Dal 1996 al 2003 è stata editrice del giornale dell’associazione Svizzera di terapia SVOMP. Dal 1997 – 2008 Renèe è stata delegata della SVOMP per la IFOMPT. Attualmente Renée lavora a Kriens vicino a Lucerna, Svizzera nel suo studio privato e insegna terapia manuale nei corsi postgraduati in Svizzera, Austria, Germania, Italia, Spagna e nei Paesi Bassi. Nel 2006 ha iniziato il suo studio accademico MSc in “Medical Education” all’università di Berna. Dal gennaio 2010 Renée insegna al programma MAS in “Musculoskeletal Physiotherapy” all’accademia di scienze applicate di Winterthur, Zurigo, Svizzera. Il suo campo d’interesse particolare è lo sviluppo di Curricula e la sua applicazione nella formazione di fisioterapia. Birgit completed her Physiotherapie Training at the state school for Physiotherapie in Höxter 1986. She gained professional experience at the Rehabilitations- ... und RheumaklinikZurzach (CH) where she first came into contact with the Maitland® Concept. From 1989 until 2002 she worked in the University Hospital in Munich, specializing in shoulder surgery and in a private practice. Since 2003 she has been working in her own practice in Erding near Munich. In 1996 she attained her OMT qualification with the DeutscherVerbandfürManuelleTherapie (Maitland®-Konzept) e.V (DVMT) in Germany. 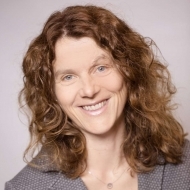 Birgit has been a member of the board of the DVMT e.V for more than 10 years. She qualified as a teacher with the International Maitland Teachers Association (IMTA) in 2009. Birgit is also working as a recognized clinical supervisor in the OMT training of the DVMT®. At this time she is member of the IMTA board and keeps the Curriculum work going on. She is interested in shoulder dysfunctions and look after golf players, since she herself tried to play golf. Pierre finished his education as a physiotherapist in 92 at the University of Louvain (B). After a short replacement period in a private practice, he went ... to Rwanda (Africa) where he was faced with severe orthopaedic conditions and held numerous positions. Back in Europe in 1994, he went to Switzerland to work at the La Chaux-de-Fonds Hospital. After having worked in several private practices from 2001 to 2009, he took over a practice he manages so far in Neuchâtel (CH). 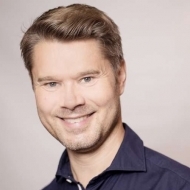 He attained his OMT qualification (svomp, CH) in 2010 and a Master of Applied Science in musculoskeletal Physiotherapy at the ZHAW (Zurich University of Applied Sciences, CH) in 2013. Additionally, he created and taught several short courses in partnership with course centres and universities. He qualified as a teacher with the International Maitland Teachers Association (IMTA) in 2018. His main areas of focus are pain, neurosciences, new technologies and finding simple solutions in patients with complex and chronic issues. Jürg completed his physiotherapy training at the University Hospital in Basel, Switzerland in 1990. After gaining 2 years professional experience in various ... private physiotherapy practices he moved to the Physiotherapy Department of the Bruderholz Hospital in Basel. As Superintendent Physiotherapist he is responsible for the rehabilitation of patients in orthopaedic surgery and traumatology as both in- and out patients. In 2000 he attained his OMT qualification with the Schweizerische Verband für Orthopäsiche Manuelle Therapie (SVOMP).Jürg qualified as a teacher with the International Maitland Teachers Association (IMTA) in 2007. Currently Jürg continues to practise clinically at the Bruderholz Hospital in Basel and to teach postgraduate manipulative therapy. His main areas of special interest include differentiation tests for patients with orthopaedic problems and the management of patients with cervicogenic dizziness. 1980 absolvierte Elly ihr Bachelorstudium in Physiotherapie an der Akademie voor Fysiotherapie in Rotterdam, Niederlande. Nachdem sie für kurze Zeit in ... einer Privatpraxis in den Niederlanden arbeitete, zog sie noch im selben Jahr in die Schweiz um, wo sie seither in verschiedenen Krankenhäusern und Privatpraxen arbeitete. 1990 erlang sie ihre OMT-Qualifikation beim Schweizer Verband für Orthopädische Manuelle Therapie (SVOMP), 1992 die Lehrbefähigung "Ausbilderin Berner Kaderschule". Im Jahre 2000 schloss sie Ihr Studium an der University of East London, Großbritannien mit einem Master of Science ab. 2012 wurde ihr der Titel „Clinical Specialist MSK / PhysioSwiss" des Schweizer Physiotherapie Verbandes verliehen. Sie ist Clinical Supervisor und Coach für all diejenigen Physiotherapeuten, die die gleiche berufliche Qualifikation erlangen wollen. Elly hat zahlreiche Artikel und Buchbeiträge veröffentlicht. Sie ist Co-Autorin der 6. Auflage des Buches „Maitland – Manipulation der Wirbelsäule“ und veröffentlichte zusammen mit Kevin Banks die neueste Ausgabe von „Maitlands Manipulation der peripheren Gelenke“ (2005) und „Maitland‘s Clinical Companion“ (2009). Zusammen mit Kevin Banks überarbeitete sie die neuesten Ausgaben von „Maitland’s Vertebral Manipulation – Management of Musculoskeletal Disorders” Vol. 1. 8th ed. (2014) und „Maitland’s Peripheral Manipulation – Management of Musculoskeletal Disorders” Vol. 2. 5th ed. (2014), zu denen Autoren aus zahlreichen Ländern der Welt ihren Beitrag leisteten. Nach ihrer Zulassung als Lehrer bei der International Maitland Teachers Association (IMTA) im Jahre 1992, wurde sie 2003 zum Senior Teacher. Von 1992 bis 1994 war sie Sekretärin der IMTA, von 1995 bis 2001 Vorsitzende. 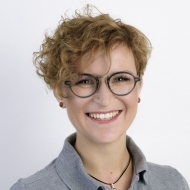 Elly ist ein früheres Vorstandsmitglied der SVOMP (Schweizerischer Verband Manipulativer Physiotherapie) und ehemaliges Mitglied des Bildungsausschusses des Schweizerischen Verbandes Orthopaedischer Manipulativer Physiotherapie (SVOMP). Zur Zeit ist sie die Koordinatorin des Lehrprogramms in den Niederlanden, das zu einer OMT-Qualifikation basierend auf der Grundlage des IMTA-Kursprogramms Level 1-3 führt. Elly arbeitet weiterhin in ihrer eigenen Praxis und unterrichtet pre- und postgraduate Kurse. Ihr spezielles Interesse gilt der Behandlung von Patienten mit chronischen Schmerzen; Bewegungsparadigma als spezifische Basis für das Physiotherapeutinnen Wissen; Paradigmen der Krankheitserfahrung u. der Salutogenese, Clinical Reasoning Prozess, im besonderen das narrative Reasoning in der klinischen Praxis; die psychologischen Dimensionen der Physiotherapie u. der Manuellen Therapie; qualitative Forschungsmethoden innerhalb der Physiotherapie. Thomas completed his physiotherapy training at the state school for Physiotherapy in Hanover, Germany in 1995. From 1995 to 2001 he gained professional ... experience in a musculoskeletal outpatients clinic where he advanced to superintendent physiotherapist. From 2002 - 2009 Thomas has been working in his own physiotherapy practice in Osnabruck. In 2002 he attained his OMT qualification with the Deutscher Verband für Manuelle Therapie (Maitland-Konzept) e.V (DVMT) in Germany. Thomas qualified as a teacher with the International Maitland Teachers Association (IMTA) in 2007. Since 2014 he is an IMTA Senior Teacher. He is teaching principally in Germany & Poland. Currently Thomas continues to practise clinically as a freelancer in a private practice in Hamburg. He has been a member of the executive committee of the Deutscher Verband für Manuelle Therapie (Maitland-Konzept) e.V (DVMT®) from 2003 – 2010 and was from 2007 – 2011 a member of the OMT-DVMT® commission. Thomas is also working as a recognized clinical supervisor in the OMT training of the DVMT®. From 2008 – 2011 Thomas was a student in the MSc programme of the Danuba university of Krems, Austria. His main areas of special interest include the management of patients with chronic pain. Pierre was born in La Chaux-de-Fonds in the French part of Switzerland. He completed his physiotherapy training in 1981 in the Physiotherapy School at ... the University Hospital in Basel under Dr.med. h.c. Susanne Klein-Vogelbach. 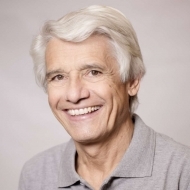 After working at the University Hospital in Basel and in Lausanne, Pierre opened his own practice in Lutry, Switzerland in 1987 and the Postgraduate Study Centre CFP since 2000. Pierre qualified as a teacher with the International Maitland Teachers Association (IMTA) in 1988. He was made Senior Teacher in 1992. Pierre has published in various journals and is a co-author in different books. 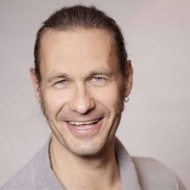 Currently Pierre continues to work clinically in his private practice in Lutry and teaches postgraduate manipulative therapy in Belgium, Corea, France, Germany, Italy and Switzerland. His special interests include the management of peripheral neuropathies and cervical headaches. Jukka qualified as a physiotherapist in 1995. Since then his clinical work has focused on musculoskeletal disorders. His special interest areas are lower ... extremity disorders and chronic musculoskeletal pain disorders. Jukka began his Maitland training in 2000 and completed Level 3 in 2004. He then began his IMTA teacher’s training which he completed in 2015. Since 2008 he has been doing research concerning chronic foot and ankle disorders and ankle sprains. Currently Jukka is working clinically in Helsinki. He teaches mainly in Europe and is involved in several research projects. John completed his Bachelor in Physiotherapy in Rotterdam in 1976. He has been practicing in private practice in Kempten, Germany since 1988. 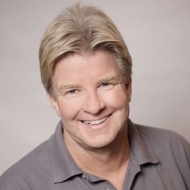 John attained ... his orthopaedic manipulative physical therapy (OMT) qualification in a postgraduate program at Curtin University in Perth, Western Australia in 1994 and graduated with a Masters of Science in Pain Management from the University of Wales in Cardiff UK in 2003. John qualified as a teacher with the International Maitland Teachers Association (IMTA) in 1996. 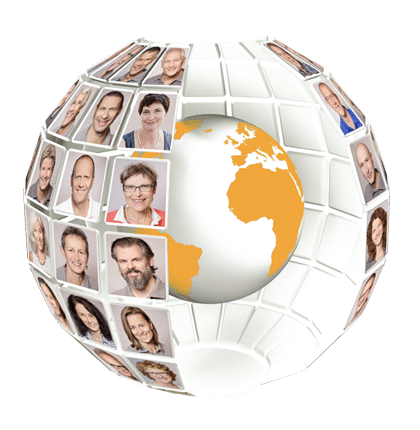 He has been a founding member of the Deutsche Verband für Manuelle Therapie (Maitland® Konzept) (DVMT) and chairperson of its educational committee till 2007. John is chairperson of the educational committee of the Interdisciplinary Forum for Cranio-Facial Syndromes (IFCFS) since 1996, including pain management with a bias on autonomous nervous system components. 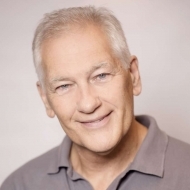 In 2005 John was appointed to the International Advisory Board of the Manual Therapy journal and he became Member of the Standards Committee of the International Federation for Orthopaedic Manipulative Physical Therapists (IFOMPT). 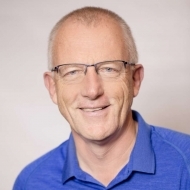 In this position he is globally supporting organisations and universities to develop educational programs in neuro-musculoskeletal rehabilitation towards IFOMPT standards and is honorary professor at several universities. 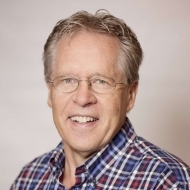 He teaches OMT modules in English, German and Dutch with or without translation in approx. 12 countries yearly. 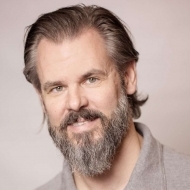 Being a sports physical therapist, John developed a dysfunction screening and management system for professional athletes based on OMT principles and joins club and national teams at training camps and tournaments since 2002. He participated at 2 FIFA world cups with South-Korea, 2 Olympic Games (Russia, Morocco), 1 Asian Cup (Iran) among others. During 2006-2009 a functional taping concept with elastic tape based on the same OMT principles as the Maitland concept has been developed and 2009 the International Kinematic Taping Academy (IKTA) was founded with MSc colleagues Timpe and Sazegar. IKTA is currently supplying seminars on 4 continents in 10 languages and is supporting research. The self-taping manual has been the taping bestseller book 2012-2015 in Germany and is translated in 8 languages to date. Despite the organisational work and research John enjoys clinical work in his co-owned practices “Therapy4U” or on the road with sports teams. Lisa graduated as a physiotherapist in Brescia (Italy) in 2003. From 2003 until 2009 she worked in a private hospital. 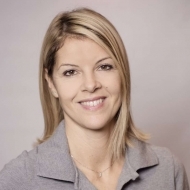 Since 2009 she has been working ... in her private practice where she currently treats patients with various neuro-musculo-skeletal disorders and sportspeople. In 2013 she completed her OMT with the “Deutschen Verband fur Manuelle Therapie (DVMT)” in Germany. In 2014 she completed the Certificate in Orthopaedic Manual Therapy provided by Manual Concepts at the Curtin University in Perth (WA). 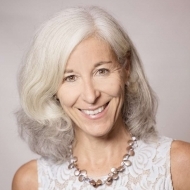 Lisa qualified as an IMTA teacher in January 2015 and she teaches in various course centers in Italy. Werner qualified as a physiotherapist at the Physiotherapy School at the Rehabilitation Clinic Leukerbad, Switzerland. From 1984 he worked at the Rehabilitation ... hospital in Länssjukhuset Kalmar, Sweden. In 1986 he returned to Switzerland to the Medizinisches Zentrum Bad Ragaz und Rehabilitationsklinik Valens. In 1998 he attained his OMT qualification with the Schweizerischer Verband für Orthopädische Manuelle Therapie (SVOMP). He qualified as a teacher with the International Maitland Teachers Association (IMTA) in 1999. Currently Werner continues to work in his private praxis in Heimberg. He teaches postgraduate manipulative therapy in Switzerland, Germany and Introduction courses in Japan. From 1999-2003 he was a board Member of IMTA. His other fields of interest include clinical pattern of vertebral dysfunction and chronic pain pattern. Michaela Neubauer graduated as a physiotherapist in St. Pölten (Austria) in 1997. She was employed in private practices and in a hospital unless she went ... to Australia in 2001. At the University of South Australia she completed a postgraduate manual therapy program, graduating with a Masters of Physiotherapy degree. Back in Austria she started working as a board member of the Austrian Maitland association (ÖVMPT) and of the ÖVMPT educational committee. At the same time she founded her own private practice where she treats patients with musculoskeletal disorders until now. 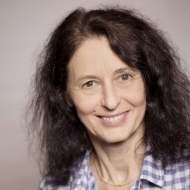 Since 2008 she lectures at the University of Applied Sciences in St. Pölten and qualified as a teacher with the International Maitland Teachers Association in 2013. In 2015 she completed a postgraduate course in university didactics at the University of Applied Sciences in St. Pölten. It lasted over two semesters and finished with a "Certificate of university didactics". Matthew graduated as a Physiotherapist from Sheffield in the UK in 1988. He then stayed in the area for a few years and worked in a hospital setting before ... moving to Canada in 1992, where he worked in a private practice. After a few years he returned to the UK and worked in various hospitals. 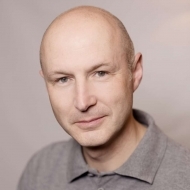 He achieved a post graduate certificate in manual therapy from Sheffield Hallam University in 1996 and then went onto the International Maitland Teachers’ Association (IMTA) course programme which he completed in 2001. From 2002 he has been involved with the IMTA teacher training programme and has taught in the UK, Finland and Poland. He gained his OMT qualification in 2005 and became a member of the Musculoskeletal Association of Chartered Physiotherapists (MACP). As well as working independently as a private practitioner, Matthew currently works in the Doncaster area as a lead clinician in a hospital physiotherapy department and in an extended role as a specialist Orthopaedic Physiotherapy Practitioner. In this role he has gained experience in requesting medical investigations such as blood tests, x-rays, MRI scans etc. He is also qualified in the administration of steroid injections. Matthew qualified as an IMTA teacher in 2013 and has since taught courses in the UK, Spain, Saudi Arabia and Jordan. He also has plans to teach in Norway, Poland, Portugal, Russia and Mexico. He was the Consulting Editor for the current editions of Maitland’s Vertebral Manipulation (8th Ed.) and Maitland’s Peripheral Manipulation (5th Ed.). In addition he co-authored the chapter on management of shoulder and shoulder girdle disorders in the latter text. Philip completed his training as a physiotherapist in 1995 in Bad Säckingen, Germany. After working for 6 years in public and private orthopaedic und ... traumatology hospitals in and around Basel he went into private practice. He is co-founder of and partner in impuls.train-in ag in Aesch, Switzerland where he specializes in manual therapy and sports physiotherapy. He completed his OMT qualification in 2007 with the „Deutschen Verband für Manuelle Therapie (DVMT)” in Germany. Philip qualified as an IMTA teacher in January 2013 and teaches at various centres in Germany. 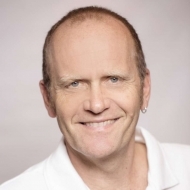 Currently Philip continues to work in his own practice in Aesch, Switzerland. His special interests are in the treatment of achillotendinopathies and patients with shoulder problems. Stefan graduated in 2000 from physiotherapy school in Bad Krozingen, Germany. He gained his initial professional experience in an orthopaedic rehabilitation ... centre in Freiburg, Germany. In 2003 he completed a 6-month PNF course at the Kaiser Permanente Rehabilitation Center in Vallejo, California, USA. In 2005 he graduated from the University of South Australia in Adelaide with a Masters degree in Musculoskeletal and Sports Physiotherapy. Since 2007 he has worked at the Bethesda Hospital in Basel, Switzerland. Next to his work as a physiotherapist he is also responsible for the internal quality assurance of the hospital’s physiotherapy team. His special interest is the treatment of patients with chronic lumbar or cervical dysfunctions. Stefan qualified as an IMTA teacher in 2013. In addition to teaching post-graduate courses in manual therapy, he is also a lecturer in the Bachelors course in physiotherapy at the Bildungszentrum für Gesundheit (BZG) in Basel as well as a recognised clinical supervisor in the OMT training of the Deutscher Verband für Manuelle Therapie Maitland®-Konzept (DVMT®). Hugo machte 1981 seinen Abschluss als Physiotherapeut in Amsterdam. Seit 1982 lebt und arbeitet er in der Schweiz. Seine beiden Studienaufenthalte in Australien ... schloss er 1987 mit dem Graduate Diploma of Advanced Manipulative Therapy ab und 1994 mit dem Master of Applied Science an der University of South Australia. 1990 qualifizierte er sich als Instruktor der International Maitland Teachers Association (IMTA); seit 2002 ist er Principal Instructor. Er unterrichtet primär an den IMTA-Aufbaukursen in der Schweiz, Deutschland, Österreich und Italien. Weiter ist er Mitglied der teaching faculty des neuro-orthopädischen Instituts (NOI), als Senior-Instructor unterrichtet er Kursmodule zum Thema neurale Mobilisation und Schmerzmanagement. Im Jahre 1991 war er Mitinitiant bei der Gründung des Fortbildungszentrums Tenedo in Bad Zurzach - das heutige Rehastudy Bad Zurzach. Hugo war in der Periode 1989 - 2010 Mitglied des Ausbildungskomitees des Schweizerischen Verbandes für orthopädische manipulative Physiotherapie (SVOMP). In dieser Periode war er an der Ausarbeitung des Ausbildungscurriculums der Schweizerischen OMT-Ausbildung beteiligt, später dann auch als Lehrer, klinischer Supervisor und Prüfungsexperte in dieser Ausbildung. In der Periode 2007 - 2010 war er Präsident der IMTA, davor über viele Jahre zuständig für die Koordination der IMTA-Instruktorenausbildung. Nach langjähriger klinischer Tätigkeit als Physiotherapeut und klinischer Supervisor in der RehaClinic Bad Zurzach praktiziert er seit einigen Jahren in einer Privatpraxis in Würenlingen (www.physiotherapie-wuerenlingen.ch). Seine besonderen klinischen Interessen sind auf neuropatische Schmerzen und therapeutische Aufklärung von Schmerzen und Dysfunktionen (explain pain) ausgerichtet. Er ist spezialisiert im Management verschiedenster klinischer Syndrome, wie frozen shoulder, periphere Neuropathien, speziell Karpaltunnelsyndrom und Radikulopathien, und er hat sich einige Jahre mit der Anwendung von Ultraschall als diagnostisches Instrument bei peripheren Neuropathien beschäftigt. Momentan liegt sein klinischer Schwerpunkt bei der möglichst frühzeitigen Integration verschiedenster Formen von geräte- und schlingengestützten Trainingstherapien in das Gesamtmanagement bei neuro-muskuloskelettalen Beschwerden. 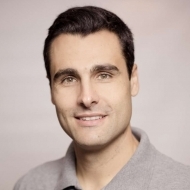 Robert was born in Sarreguemines, Frankreich and graduated as a physiotherapist in Brussels, Belgium in 1987. He has lived and worked in Switzerland since ... 1988. Robert opened his own practice in Caslano (Lugano), Switzerland after working for three years at the Rheuma- und Rehabilitationsklinik in Zurzach. He qualified as a teacher with the International Maitland Teachers Association (IMTA) in 2001. 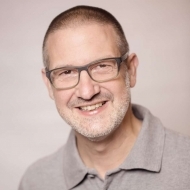 Currently Robert continues to practice in Caslano, Switzerland and teaches postgraduate manipulative therapy in Switzerland, Austria, Germany and Italy. 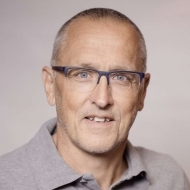 Marc van Liebergen completed his Bachelor degree in physiotherapy in January 1989 at the Rijkshogeschool IJsselland in Deventer, The Netherlands. After ... a short period of work experience in The Netherlands he moved to Germany where he predominantly treated neurological patients at a rehabilitation clinic following the Bobath Concept. Here he discovered his interest in manual therapy according to the Maitland Concept. In 1998 he completed his final exam for the OMT qualification in Munich (Deutscher Verband für Manuelle Therapie (Maitland®-Concept) e.V (DVMT®)). 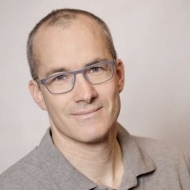 Since 1991, Marc has been working as a physiotherapist and manual therapist in his private practice in Kempten (Allgaeu). In 2008 he qualified as an instructor for the International Maitland Teachers Association (IMTA). Jan Herman completed his Bachelor in Physiotherapy at the Friese Akademie voor Fysiotherapie in Leeuwarden, the Netherlands in 1978. He then moved to Switzerland ... where he has since worked in various hospitals and private practices. 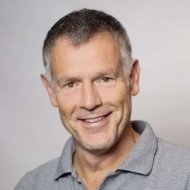 He has been practicing in his own physiotherapy practice in Grenchen, Switzerland since 1987. Jan Herman has completed a number of manual therapy training schemes in various concepts in Switzerland and Germany. In 1994 he successfully completed the OMT training scheme in Switzerland and qualified as a teacher with the International Maitland Teachers Association (IMTA). 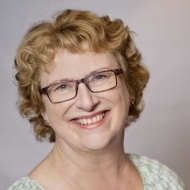 Currently Jan Herman continues to practice in Grenchen and teaches postgraduate manipulative therapy in Switzerland, Germany, Austria, Italy, the Netherlands and Spain. He is co-editor of the German language professional journal “Manuelle Therapie”. Harry J.M. von Piekartz qualified in 1985 as a physiotherapist at the Dutch University of Enschede (Hogeschool van de Twentse Academie voor Fysiotherapie ... (TAF)). In 1988 he succesfully completed his manual therapy training (Maitland Concept) in Switzerland. In 1993 he gained the IFOMT diploma in the Netherlands (Nederlandse Manuele Therapie Vereniging (NVMT)). In 1994 he completed his IMTA (International Maitland Teacher Association) teacher training and became in 1995 also a teacher for the Neuro Orthopaedic Institute (NOI). From 1996 to 2000 he was involved in a number of multidisciplinary projects on chronic craniofacial pain patients and in 2001 he published his book „Craniofacial Dysfunction and Pain, Manual Therapy – Assessment – Management“(Butterworth-Heinemann). The book was also published in German (Thieme Verlag, 2001) and Spanish (McGraw-Hill, 2003). During the year 2000 he successfully completed his Master of Science degree in Physiotherapy at the University of Leuven (Belgium). His thesis was on „The Neurodynamic Testing of the Mandibular Nerve: Reliability and norm-data“. In 2003 he became a senior IMTA teacher and was granted a fellowship of the ICCMO (International College of Craniomandibular Orthopedics, Section Germany) and was elected as the president of the Craniofacial Therapy Academy (CRAFTA). In 2005 he got his PhD in Rehabilitationscience on the Staffordshire University(UK) and his second book „Kiefer, Gesichts- und Zervikalregion. Neuromuskuloskeletale Untersuchung, Therapie, Management“ was published in German by Thieme-Verlag. The English edition „Craniofacial Pain. Assessment and Management of the Neuromusculoskeletal System“ is is published in 2007 (Elsevier Publishers) Since 2008 he is Professor for Physiotherapy on the University of applied Science in Osnabrück (Germany http://www.fh-osnabrueck.de /) and is involved in several research projects and lectures Rehabilitationscience,Evidence Based Practice, Clinical Reasoning and Models in Assessment and Treatment. Throughout this time he published various articles on this his special interests: - Management of problems in the craniocervical, craniomandibular and craniofacial region. - Treatment of children with neuromusculoskeletal dysfunctions. - Early onset of therapy for children with craniocervical and craniofacial dysfunctions and pain. - The function of the (cranial) nervous system and the role of physiotherapy in this field. - Rehabilitation programs and pain management for longterm pain problems in the neuromusculoskeletal system. Further he works in a privat practice in the the Netherlands (Physiotherapy clinic for manual therapy and applied neurobiomechanic science) Ootmarsum. Rolf completed his Bachelor of Physiotherapy in 1984 at the Twentse Academy of Physiotherapie, Enschede, Netherlands where he started working in a hospital. ... 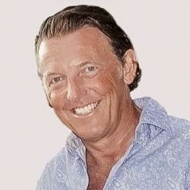 Shortly afterwards he moved to Switzerland where he has worked in a number of medical and physiotherapy practices before founding his own private physiotherapy practice in Morbio Inferiore, Switzerland. In 2001 he successfully completed the OMT training in Switzerland and qualified as a teacher with the International Maitland Teachers Association (IMTA). 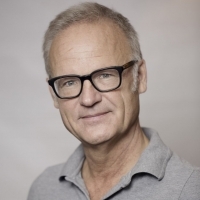 In his private praxis Rolf manages general neuromusculoskeletal problems with a special interest in the analysis and problem solving of nerve root problems, headaches, tinnitus, dizziness, shoulder related problems and knee and foot disorders. Rolf is engaged in the management of sport specific disorders of several professional athletes. Currently Rolf continues to work in his practice and teaches Manipulative Therapy in Italy, Germany, Greece, Finland and in the Netherlands. Pieter graduated as a physiotherapist in Holland in 1981. Shortly afterwards he moved to Switzerland and has since worked in a number of hospitals and ... physiotherapy practices there. Pieter qualified as a teacher with the International Maitland Teachers Association (IMTA) in 1988 and was made Senior Teacher in 1991. Since 1997 he has been a Principal IMTA Teacher. Pieter has published numerous articles and book contributions on various subjects. 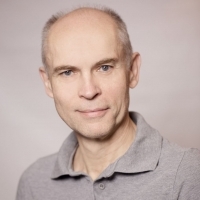 Currently Pieter continues to work in private practice in Langendorf, Switzerland and teaches postgraduate manipulative therapy in Switzerland, Italy, Spain, Poland, Netherlands, Germany and Austria. His special interests include the management of cervical headache, cervical instability, whiplash associated disorders and shoulder instability versus impingement syndrome. Renate qualified as a physiotherapist at the Physiotherapy School at the University Hospital in Basel, Switzerland. Her first position in Bad Ragaz, ... Switzerland, gave her the opportunity to meet and discuss with therapists from all over the world and to participate in various postgraduate courses. Her interest in manual therapy according to the Maitland concept stems from this time. She qualified as a teacher with the International Maitland Teachers Association (IMTA) in 1996. In the same year she finished her OMT Education in Switzerland. Since 2009 Renate has been IMTA Senior Teacher. 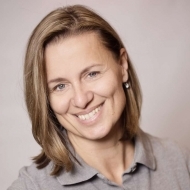 Renate now lives in Bremen Germany where she worked for 15 years in the orthopaedic and sports rehabilitation centre affiliated to “Werder Bremen”, a first division soccer team in Germany. Currently she is working in a private praxis in Bremen. She teaches postgraduate manipulative therapy in Germany, Denmark, Italy, Spain and in the Mid East. Renate has published in various journals, she is a co-author of the book: Concepts in Physiotherapy: Maitland. (Thieme 2008). In her book: Übungen in der Physiotherapie (Thieme 2009) she demonstrates her concept about Selfmanagement in Physiotherapie. Together with Pieter Westerhuis she is the editor of the book: Klinische Muster in der Manuellen Therapie (Thieme 2011). Her other fields of interest include overuse syndromes in sports, especially movement dysfunctions in Golf. Renate is working as a clinical supervisor in the OMT Education of the DVMT. From 2001-2010 she was also a board Member of IMTA.